When Robin Hood said ‘Rise and rise again until lambs become lions’ he was not making predictions about the 2018 Australian property market. But he could have been. Right now, previously timid, wannabe first home buyers are finding their roar. The reasons for this are wide and varied. But the big one is that thousands of investors have come to the end of interest-only loans and now need to find principal as well. This is happening in a market where lenders are increasingly wary, and refinancing is harder and takes longer due to tight lender requirements. 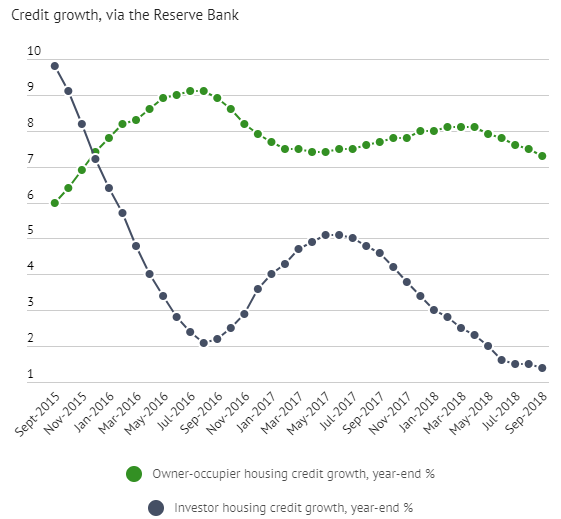 So, with costs rising and margins shrinking - some estimate an increase in monthly repayments of up to 40% - some overstretched investors will be forced to sell. Investors unable to service their loans pose a big threat to market stability. But one person’s nightmare is another’s dream, and right now this couldn’t be truer if you want to own property. Things are beginning to shift in favour of buyers. I love to chat about this sort of stuff, and work on what it means for you and your clients. Get in touch if you want to learn more, or find out how I can help your clients.